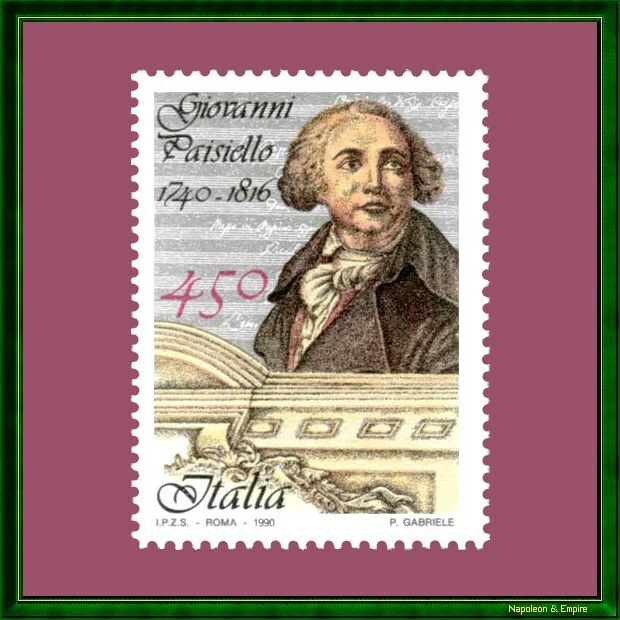 Italian stamp with a face value of 450 lire, issued in 1990 by the Italian Post Office, representing the composer Giovanni Paisiello (1740-1816). This website has been designed for a screen resolution of 1280 x 800 pixels. Last update: 2017-10-13 20:58:38.